Tasty Thai cuisine whose flavors take precedence over frills. 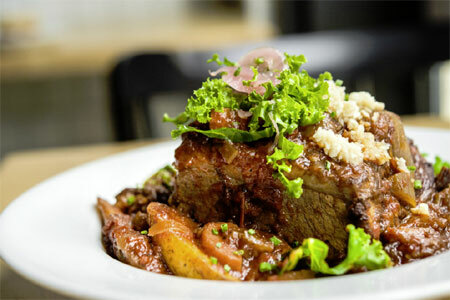 : This no-frills Queens spot serves the deep and complex-flavored food you find in Bangkok. You can sit in the storefront, the windowless downstairs dining room or the pretty back garden (in summer) and order all your favorites. Try the shredded green mango salad with shrimp, squid and chicken; the curry rice noodles; pad thai; or roasted duck with Chinese watercress over rice. Your eyes will widen at the well-spiced dishes and you'll wonder why you've been eating such limp renditions in Manhattan all these years.